A listing for the ages. 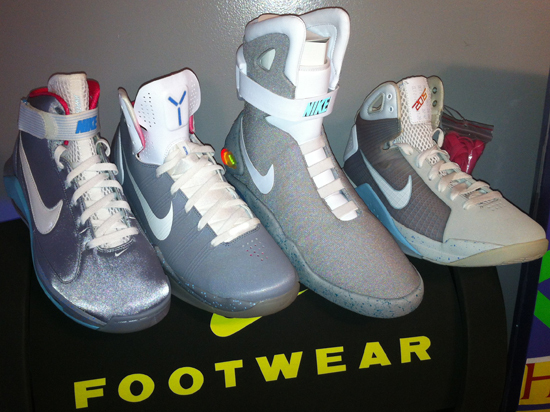 The complete Nike Back To The Future footwear collection. 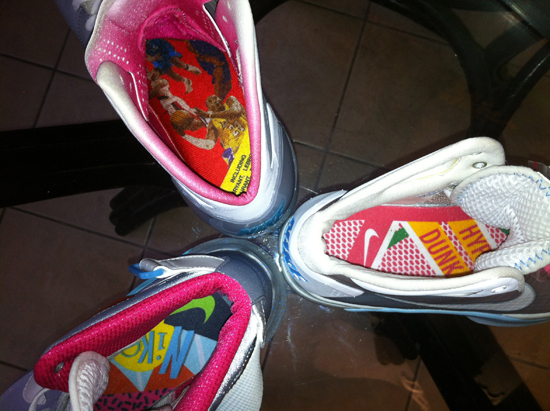 Its very rare to come across one pair let alone the whole set! Check out the auction here. 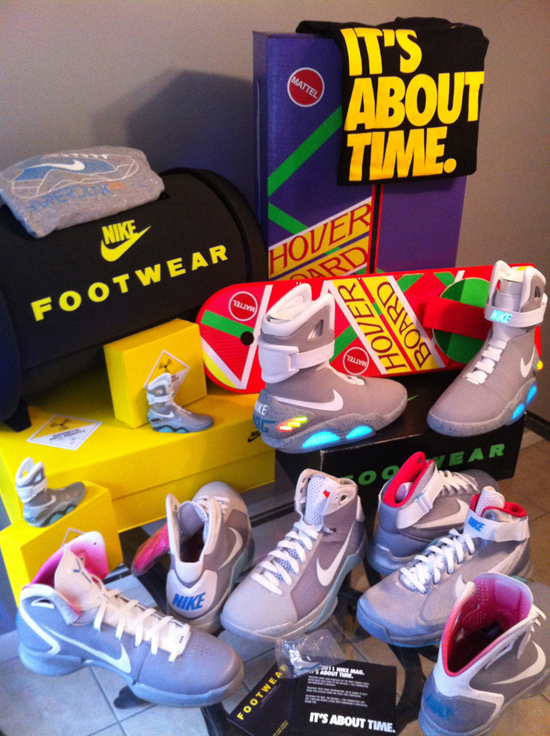 Nike and the Back To The Future movie franchise go back to the '80s when the films were originally produced. 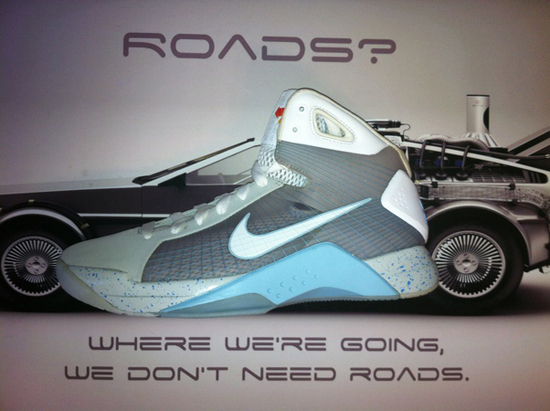 While the infamous Nike Air Mag, the futuristic sneaker from 2015 in Back To The Future: Part II has remained on everyone's mind for over twenty years, Nike kicked things up a notch back in 2008 with the Nike Hyperdunk. 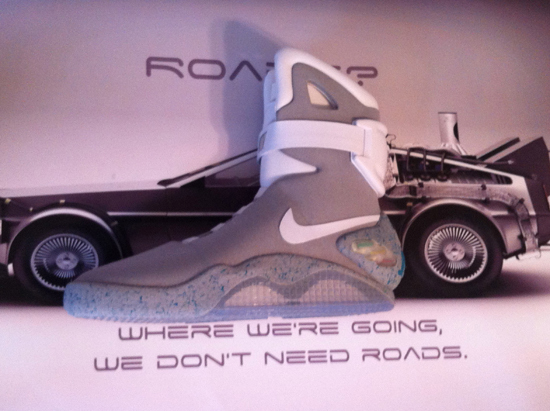 What better way to create buzz about the future of Nike Basketball footwear then to create a "McFly" inspired colorway. These were a limited release and are very hard to find. Next up, the Nike Hypermax. Made in 2009, this pair was never released. 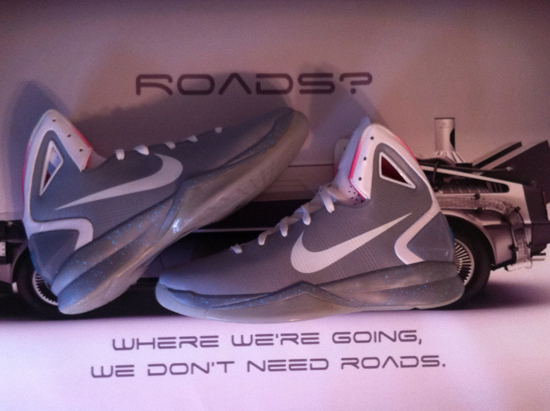 Then, the Nike Hyperdunk 2010 followed a year later. 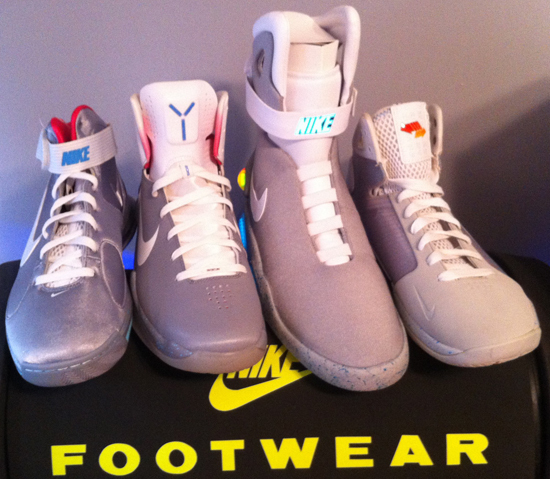 Like the Hypermax, the Hyperdunk 2010 was not released either. 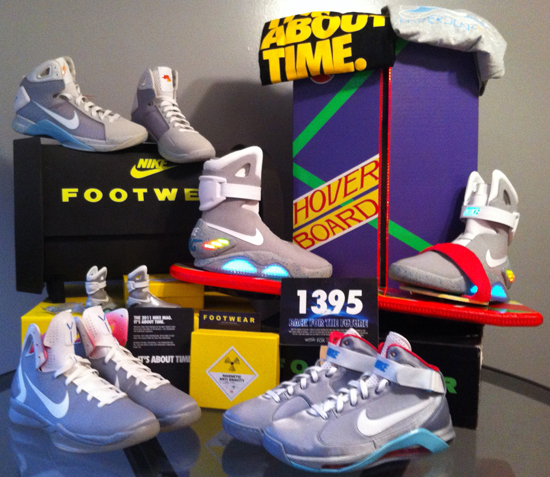 2011 brought the highly anticipated return of the original Nike Air Mag. 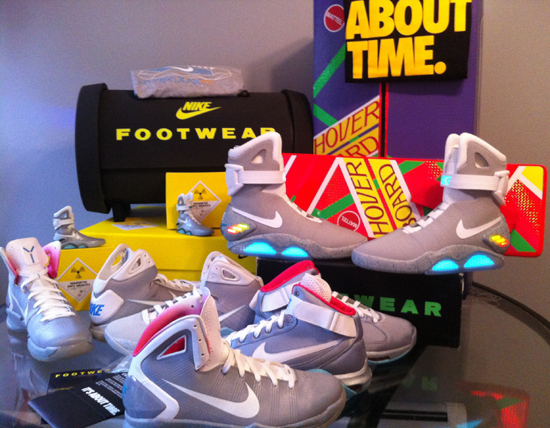 1500 pairs were auctioned off with all the proceeds going to the Michael J. Fox Foundation. To have the complete set is no easy feat. But, one lucky person could end up with the whole collection plus extras! Available for the first time ever as a set, eBay seller eliteamericanwholesale has listed the auction of a lifetime. 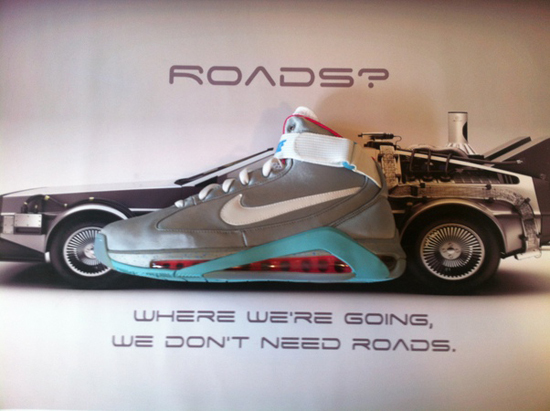 This auction features all four Back To The Future inspired sneakers, the Nike Hyperdunk, Nike Hypermax, Nike Hyperdunk 2010 and, the Nike Air Mag 2011. Along with each pair is their original boxes along with unique promotional materials such as t-shirts, pins and more! This is the ultimate Back To The Future collection and, you can bet you will never see something like this again. Enjoy the detailed images of this set below and if you are a collector and think you got enough to snag this crazy collection, take your chance at making an offer or, Buy It Now. Click here to buy them on eBay.